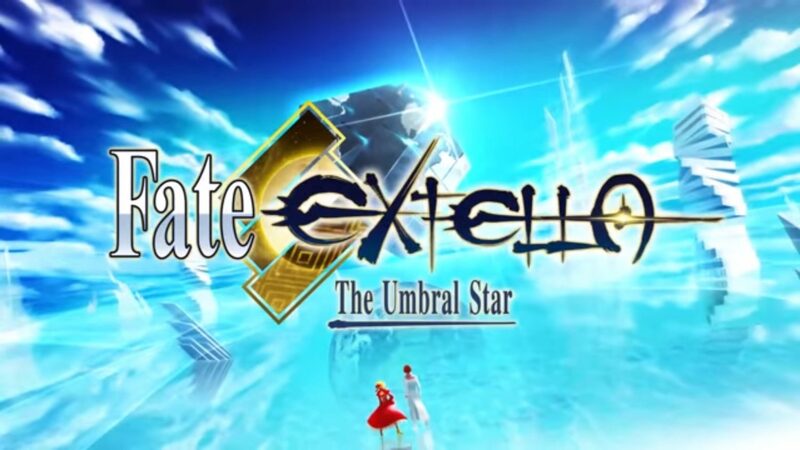 Fate/Extella: The Umbral Star is another in the Musou genre, a game in which you play a one-man army to take on thousands of foes, only to cast them aside like paper in the windstorm. 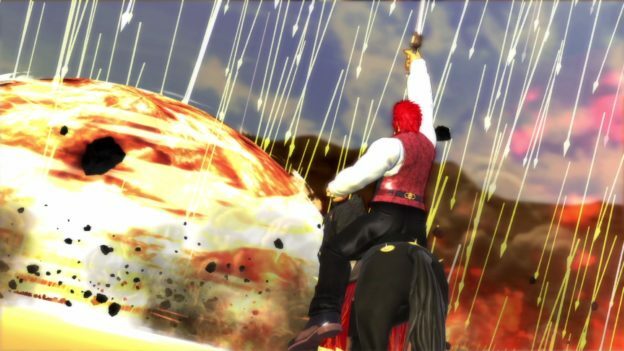 Fate technically checks all the boxes that make it a Musou game, but rarely goes beyond the basic concept to create a unique experience. Ironically, some things Fate does try to spice things up simply fall flat. While I have a number of reservations about the plot itself, I’m more put-off by the storytelling in Fate/Extella. Narration is much more inclined to tell rather than show. The narrator feels the need to tell us which characters are feeling sad, angry, confused, what have you, when simply hearing and watching them should be enough to get the message across. The narrator also has a nasty habit of reaffirming his love for Saber, and vice versa. This takes place at nearly every cut-scene break. While I’m writing this review, I’m starting to believe that the narrator is only trying to convince himself he is in love with Saber. Plot elements and characters are introduced with a lengthy exposition dump, only to never be brought up again. I could say that the game treats the plot as a formality to get from battlefield A to B, but the game goes to such lengths to explain every detail about the world, including a glossary and character profile in the menu, that I cannot accept this to be the case. I haven’t reviewed many games whose staple is 1vs1000 combat, but I feel I have a grasp on the idea. Take on enemy armies and capture their bases. 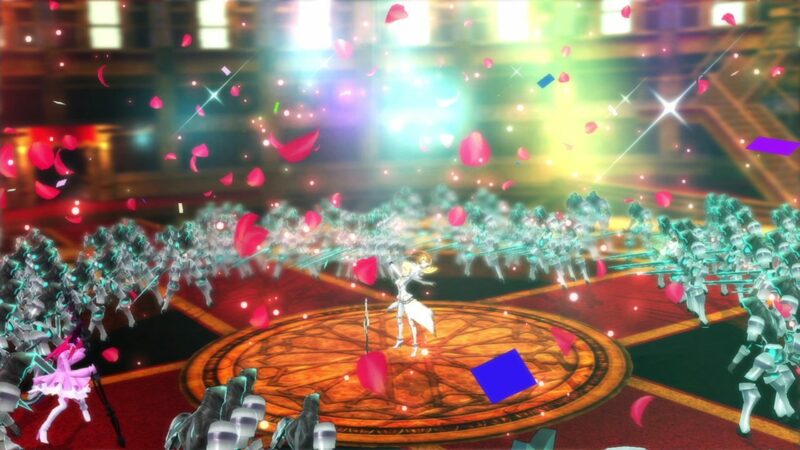 While other games may change the main objective to spice up gameplay, Fate limits itself to “capture enough bases” and “defeat the boss”. Some battles do force some strategy in what order you need to capture bases, and having the enemies set traps for the player is a nice inclusion. Fate tries to spice up the gameplay by forcing the player to take on plants, machines that breed soldiers that invade your territory. The idea is to have players balance between offense and defense, but this really only forces the player to drop what they are doing to hurry over to the plant to destroy it. When multiple plants come into play, the only strategy is to slowly chip away at each base while taking out the plants, which appear constantly. Fate’s combat goes through the motions like most Musou titles; chaining combos together, building up a special gauge to enter a super state, and having a big signature attack. What is unique about Fate (albeit only aesthetically) is the second gauge, which when filled, allows the character to freeze time and attack enemies around the room. While I take no issue with the controls, the camera simply cannot keep a good eye on the action. This issue is compounded by the fact that the only enemies you can lock onto are major bosses. When you need to clear out aggressors quickly, it would be handy to know which direction you need to face so your combos can connect. Off the battlefield, players can equip special chips that augments stats like attack power, defense, and inflicting status effects. Chaining together chips of the same type increases their power, giving players a chance to experiment with unique set-ups to give them the edge in the next skirmish. Fate/Extella goes through the motions to be considered a Musou genre title, but it does not do enough to differentiate itself from the competition. Battles are monotonous, gameplay grows stale quickly, and the storytelling is just downright atrocious. Even the graphics (something I almost never criticize in a review) feel more at home on the Wii than the Switch. Anything that Fate does is already done better in another game. 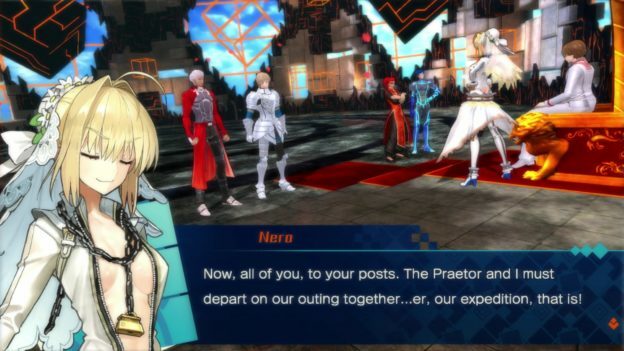 If you are fan of this genre, I recommend passing on Fate/EXTELLA: The Umbral Star.